This is an optional Hot Racing Aluminum Clamping Servo Arm for use with the Team Losi Racing 22 series. This clamping Servo arm are the same dimensions as the stock servo arm. Stock replacement for all TLR 22 series 1/10 vehicles. 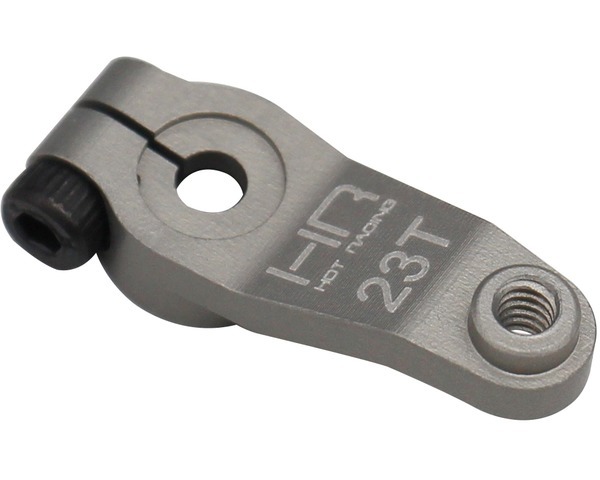 Hard anodized as TLR servo arm laser etched for easy reference. Uses stock TLR 4/40 ball end. For Spektrum/Sanwa/KO and all other 23 spline servos.